Your company's promotional event won't be complete without this terrific marketing tool. 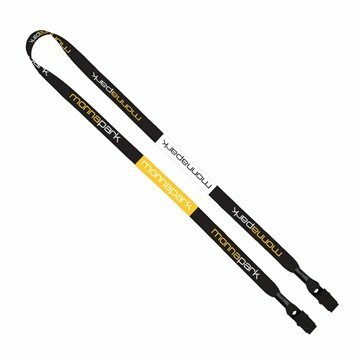 Choose this 1/2" polyester dye sublimated double bulldog clip lanyard as a handy giveaway during tradeshows, conferences and fundraisers. People will wear this item proudly. For a cool way for you to enhance your brand, order this lanyard today. The logo design looks perfect. Love them! Good quality and nice turn around time. They are great! It was just what I had been looking for. What a great buy. Excellant quality and delivery as guaranteed.